Potency determination, absolute compound purity assessment, identity testing, residual solvent, moisture analysis, relative response factor calculation…. 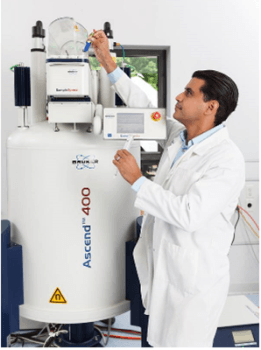 Have you thought about using quantitative NMR (qNMR) as a one-stop solution? Potency determination by qNMR has been shown to be a single point replacement for routine development testing which previously involved several experiments and techniques1 and a superior method for determining the purity of the reference standards2 used for analysis with assured metrological traceability3 such as standards for HPLC. The downside is that existing qNMR workflows rely on expert knowledge and/or well-trained analysts and detailed protocols.